Appalachians have a 5 percent higher incidence of malignant brain tumors and other central nervous system tumors than the rest of the U.S.
That’s according to a recent study published in the Journal of Neuro-Oncology. The study also found a higher mortality rate in the region due to these tumors and poorer survival rates. A potential contributing factor to these higher rates? Access to health care. A great many people throughout Appalachia live far from those speciality services that aid in treatment and recovery. Ostrom is a postdoctoral associate at Baylor College of Medicine and a member of the Central Brain Tumor Registry of the United States, which has data on every brain tumor diagnosed in the country in the past 15 years. Ostrom said the organization has been exploring how regional differences might point to health disparities. 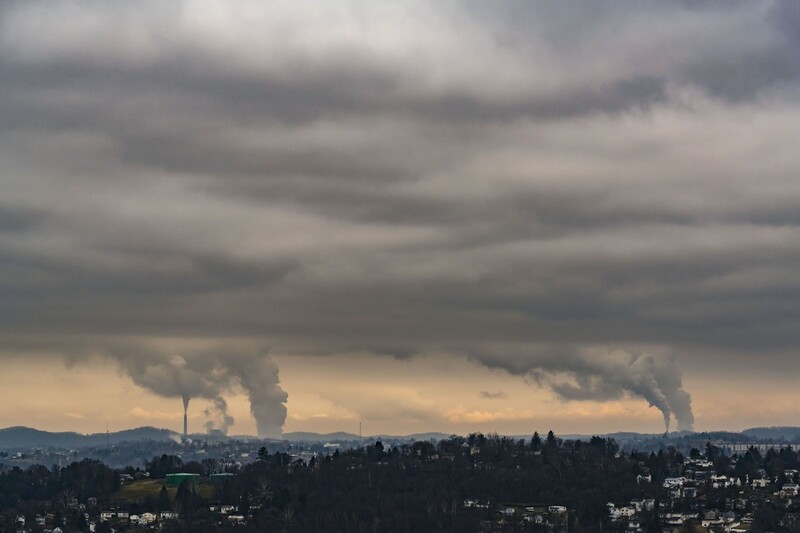 Appalachia was chosen because of a range of health disparities in the region in relation to the rest of the country, including obesity, diabetes and other cancer-associated risk factors. Appalachia has a larger white non-Hispanic population compared to the rest of the country, Ostrom pointed out, which is the population with the highest malignant brain tumor incidence – about twice as high as among African-Americans and higher than Hispanics. An examination of health insurance produced one of the study’s surprises. The researchers found that while in the rest of the country the highest survival rate for people with malignant brain tumors is with those who have private health insurance, in Appalachia better survival outcomes are found in those who have Medicaid. In Appalachia, “there was a survival advantage to being within the Medicaid system,” Ostrom said, “which we found surprising.” She and her colleagues believe this could be a consequence of people being unable to meet their private insurance copays or deductibles. The incidence of malignant, or cancerous, brain tumors was higher for both males and females in Appalachia. The rate among males was higher than females, which is reflected in the general population. The study found a heightened incidence for all age groups in Appalachia. This follows a 2017 study conducted by the University of Kentucky that found Appalachian children are at a significantly increased risk of low-grade brain tumors. Researchers at UK write that genetics may play a role, but added that environmental factors “may also contribute to the increased risk of brain tumor development in Appalachia.” They note that while the role of carcinogens in the cause of brain tumors is controversial, limited studies have indicated factors that are prevalent in Appalachia, including smoking and pollution. Ostrom and her colleagues found the highest rates of malignant brain tumors in central and northern Appalachia. The variations in regions within Appalachia, Ostrom suggested, could be attributed to the varying percentages of white non-Hispanics from one region to another, varying access to health care and insurance patterns. The researchers explored non-malignant brain tumors as well, and found an incidence that is 3 percent lower than the rest of the country. Benign tumors often go much longer without being diagnosed, she explained, because the symptoms tend to be milder, and poor access to health care may mean that a significant number of these tumors remain undiagnosed. Ostrom said that a number of research projects are being considered as follow-up to this study. The researchers hope to further explore the role that socioeconomic status plays in the incidence and outcomes of brain tumors, and to look in more detail at the significance of proximity to urban areas and specialized medical centers. “I think there should be more research on access to care and on populations that might not have access to the types of treatment that would increase their survival, or, in the case of non-malignant tumors, increase their quality of life,” Ostrom said. They also hope to further examine the genetic factors that might explain differences in risk. This Tuesday, Aug. 15, 2017 photo shows an arrangement of pills of the opioid oxycodone-acetaminophen in New York. AP Photo. Low-income West Virginians received $90 million worth of mental health and substance abuse treatment last year, and nearly $300 million over the last four years, under a law the Trump administration is trying to repeal, according to West Virginia health officials. Under the Affordable Care Act, commonly known as Obamacare, West Virginia expanded its Medicaid program to those who make up to 138 percent of the federal poverty line. According to the West Virginia Department of Health and Human Resources, the state’s expanded Medicaid program spentabout $58 million on mental health and substance abuse in fiscal year 2015, $61 million in 2016, $79 million in 2017 and $90 million in 2018. President Donald Trump’s administration said Tuesday it supports striking down the entire Affordable Care Act. Trump’s Department of Justice wrote that it agrees with a Texas judge’s December ruling that the law is unconstitutional. The Trump administration had previously argued that only parts of the law — protections for those with pre-existing conditions and limits on premiums for older, sicker people — should be struck down. Trump urged congressional Republicans last week to come up with a law to replace the ACA if it is repealed, although Congress could not do that in 2017-18, when both the Senate and House were controlled by Republicans. West Virginia is among the states that would be hardest hit by the loss of the health care law, said Simon Haeder, an assistant professor of political science in the John D. Rockefeller IV School of Policy & Politics at West Virginia University. Loss of access to drug treatment is one of a “slew” of reasons why, Haeder said. The law requires that health insurance companies pay for substance abuse treatment. Between expanded Medicaid and those who bought plans this year on the state’s health insurance marketplace — which also was created under the ACA — the law provides health care coverage for about 180,000 West Virginians. “When you gain coverage, you gain access to treatment services,” Haeder said. 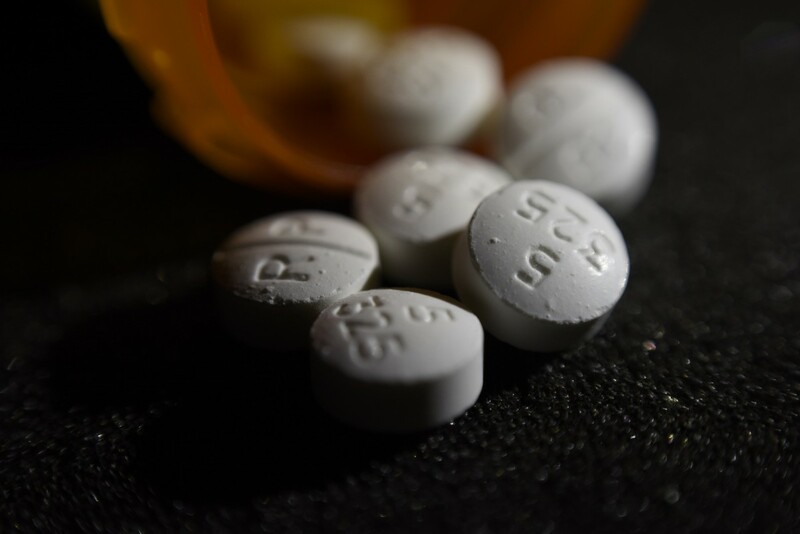 West Virginians die from drug overdoses more frequently than residents of any other state. At PROACT, an outpatient drug treatment facility that opened in October in Huntington, between 71 and 75 percent of patients are Medicaid recipients, said Mike Haney, the facility’s director. He doesn’t know how many of PROACT’s Medicaid patients have coverage because of the Medicaid expansion. But Haney said it would be difficult for PROACT to keep its doors open if expanded Medicaid patients were to lose coverage and stop treatment. “We would probably have to step back and look at the kind of services we offer,” Haney said. “Because there’s some services, such as the spiritual care, that’s not billable but it’s needed and we can offset it with the money from the traditional-type services. “But if it came down to our funding, we would have to look at realistically some of the programs that we offer and how can we make them sustainable on their own,” Haney said. Haney said the ACA has also made it easier for people to get drug treatment by requiring that health insurance companies cover it. If the ACA goes away, so does that requirement, Haney said. But he wonders if insurance companies might choose to continue coverage anyway, because it’s cheaper for an insurance company to pay for drug treatment than the health complications that come with addiction. For instance, it would be cheaper to pay for three years of drug treatment than for a heart valve replacement for a drug user who got a heart infection related to intravenous drug use, he said. Debrin Jenkins, executive director of the West Virginia Rural Health Association, said striking down the law would cause some of West Virginia’s small rural hospitals to shut their doors. “The rural hospitals who are working on very small margins, some of them negative budgetary constraints will probably go under,” Jenkins said. Rural hospitals have been closing in states like Kansas, Oklahoma and Alabama, Haeder said. “One thing that’s keeping [rural hospitals] open in West Virginia is Medicaid expansion,” he said. “Those 200,000 individuals who gained coverage, they have a payer for the hospital services. Jenkins said striking down the ACA would make West Virginia’s rural health care shortage even worse. As of March 25, about 159,000 West Virginians were enrolled in expanded Medicaid, according to the state Department of Health and Human Resources. The ACA allowed states to expand their Medicaid programs to offer health coverage to people who make up to 138 percent of the federal poverty line. About 22,600 West Virginians signed up for a plan this year under the state’s health insurance marketplace, another provision of the ACA. Jenkins said because hospitals are often the largest employers in their counties, their closures would have a negative effect on local economies as a whole. Jenkins said the loss of expanded Medicaid could hurt also the state’s economy. Repealing the law would also put those with pre-existing conditions, like diabetes and cancer, at risk of losing their health care coverage. The ACA requires that insurance companies cover those with pre-existing conditions. The law also makes it easier for black lung patients and their families to get benefits and requires health insurance plans to cover preventive care like vaccines and well child visits, Haeder pointed out. “A lot of people think the ACA is something for poor people to gain coverage, but it’s really everyone,” Haeder said. At 7 a.m. on March 1, Cumberland River Hospital ceased providing care to the citizens of Clay County, Tennessee. As the county’s director of emergency services, Natalie Boone will shoulder the consequences. As a community member, she’ll grieve. “There are so many people in this county walking around today…because of this hospital right up here,” Boone said, seated in her office in the county seat of Celina. Cumberland River is a critical access hospital and has served the community since 1965. It offered a limited number of medical procedures, but, Boone said, in emergencies patients could be stabilized there before they were moved on to a larger facility. But amid rising health care costs, Cumberland River has struggled financially, and now Clay County, which rests on the Kentucky border of north-central Tennessee, will find itself in a growing cohort of rural communities across the nation that have lost their local hospital. According to a report released in February by consulting firm Navigant, one in five rural hospitals are at high risk of closure due to financial hardship. The hardest-hit states are in the South and Midwest. The Navigant report found a number of Appalachian states to be in particular peril. According to their analysis, nine of 41 rural hospitals in Pennsylvania are at high risk of closure, 10 of 27 in West Virginia, 21 of 42 in Alabama, 26 of 63 in Georgia and 31 of 64 in Mississippi. Researchers also determined that nearly two-thirds of at-risk rural hospitals are considered “highly essential to the health and economic well-being of their communities.” Many are among the top employers in those communities. That’s true for Clay County. Its economy was once largely dependent on Oshkosh, a children’s clothing brand that at one time had three plants here; it exited in the 1990s. The county, which has a population a shade under 8,000, never really has recovered from that. The two largest employers have been the school system and the hospital. But with the closure of Cumberland River, 146 people will lose their jobs, the majority of those full-time. “My fear is that this is just the final nail in the coffin for this town,” Boone said. She recognizes that losing the hospital dims the county’s chances of attracting new businesses and puts a strain on the existing ones. But the hospital’s closure means much more to Boone than the loss of income. It’s also about care; more specifically, emergency care. Boone said she expects 911 call times in the county to double. She has but two ambulances. 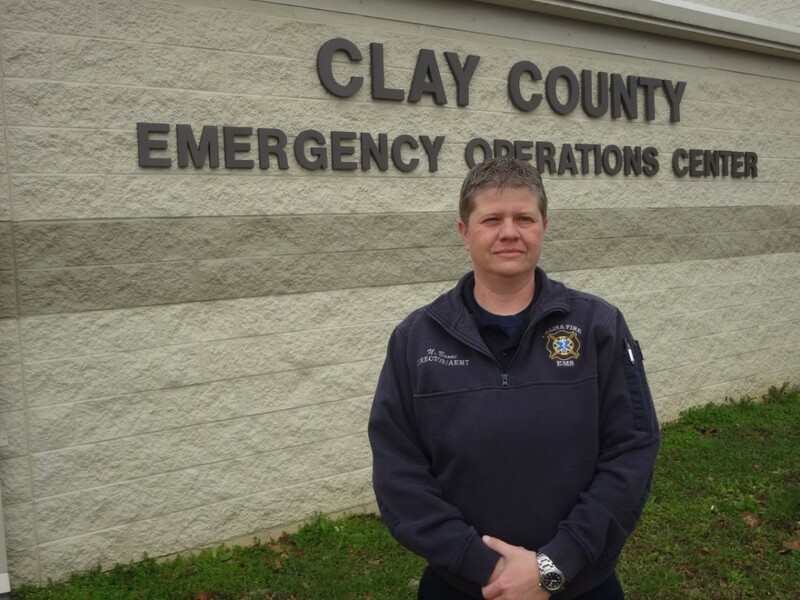 “Where this really incites fear and concern for me as an EMS director is that it means that our time without an ambulance available in this county for these citizens is going to drastically increase,” she said. While acknowledging that hospital care is available within 20 to 30 minutes for many, but not all, county residents, she stressed that 20 minutes can often be the difference between life and death. “We’re dealing with populations that are vulnerable. Statistics comparing rural to urban find that, in summary, they’re older, poorer and sicker,” Brock Slabach, senior vice president for members services at the National Rural Health Association, said of assessing the future of rural hospitals. Slabach cites income level as the single best predictor of the health status of a community. “If you want to find a healthy community,” he said, “look at average incomes that are way above the national average.” The inverse is likewise true. According to the U.S. Census Bureau’s American Community Survey, more than 20 percent of Clay County residents live below the poverty line. The statewide average in Tennessee is 17.6. The median household income in Clay County is $30,801 compared with Tennessee’s overall $48,708. The national median household income is $57,652. A range of factors play a role in rural hospital closures. Among them: declining populations, difficulty in attracting health care professionals to rural communities and an inability to raise sufficient capital that would allow a hospital to better compete. There’s a substantial gap between profit margins of urban and rural hospitals, a gap that in 2013 began to widen much more quickly than the prior few years. There are cases of shuttered rural hospitals being reopened, but usually in different iterations, focused on the community’s most urgent needs, perhaps refurbishing to provide assisted living or rehab services. In such cases, communication and due diligence can help smooth the transition. Northeast Georgia Health System, for example, has worked to solicit input from the community after it took ownership of Chestatee Regional Hospital in Dahlonega, Georgia. The hospital ceased operations on July 26 of last year in the midst of the previous owner’s legal issues. It was the seventh rural hospital to close in the state since 2010. NGHS, based in nearby Gainesville, took ownership of the property, sold it to the University of Georgia’s Board of Regents, then leased it back. After Chestatee Regional’s closure, NGHS hired a consulting firm to conduct one-on-one interviews with key stakeholders in the community to help determine the most appropriate path forward. They also hosted a series of focus groups with health care professionals – including former Chestatee Regional employees – and others. “We want people to have the option to stay close to home for care, and then visit a larger hospital…when they need more advanced treatment options that aren’t available locally,” said Louis Smith, NGHS’s president of system acute and post-acute operations. Smith said NGHS is investing in new technology to help improve care for those who live in rural areas. He cited its electronic health record, which receives information from providers outside the NGHS system through a regional health care information exchange called HealtheConnection. A spokesperson has said that NGHS’ hope is to re-establish emergency services, perhaps by late summer, while continuing to examine longer-term solutions. Researchers say there are ways that the challenges plaguing rural hospitals can be mitigated. Expanding Medicaid under the Affordable Care Act is one of them. Under the ACA’s Medicaid expansion provisions, states have access to substantial federal funding to provide health care coverage to more people. Hospitals then have fewer patients with no means of payment for their care. Among Appalachian states, six have thus far declined that funding: Alabama, Georgia, Mississippi, North Carolina, South Carolina and Tennessee. And according to researchers at Northwestern’s Kellogg School of Management, hospitals in Medicaid-expansion states saved $6.2 billion in uncompensated care, with the biggest savings in states with the highest percentage of low-income and uninsured patients. Medicaid expansion is certainly a consideration in the fiscal health of rural hospitals. But no one sees it as a cure-all. Other potential solutions suggested in the above-mentioned Navigant report include advancing legislation around telehealth reimbursement and the passage of the Rural Emergency Acute Care Hospital Act, which would introduce a new Medicare classification allowing rural hospitals to provide emergency and outpatient care without having to maintain inpatient services. Brock Slabach says Appalachian states could look to an innovative program already in practice in the region. The Pennsylvania Rural Health Model, a federal Centers for Medicare & Medicaid Services program, could provide “a wholesale kind of change to the structure of how health care is financed,” Slobach said. The program provides that a fixed amount is paid for all hospital-based services, with rural hospitals committing to redesigning delivery of care to better meet their communities’ needs. Health care is local, Slabach asserts, and communities must get creative. Desperation is the mother of invention, he avowed. “I think we’re seeing a lot of pain being expressed across the country, and I think more and more legislators are starting to become aware of that and are starting to respond. In February, Natalie Boone attended the funeral of 28-year-old Kyle Fisher, a paramedic, a colleague and friend. Fisher went into cardiac arrest after an illness. Clay County EMTs arrived, administered 20 minutes of CPR, got a pulse and carried him to Cumberland River Hospital, where, after two and a half hours, he was stabilized. Fisher was taken to Vanderbilt University’s cardiovascular intensive care unit in Nashville. He died later that week. But the efforts were not in vain. “His family has said repeatedly that because of this local hospital and our EMS, we were able to get him to be where he needed to be, and we allowed him to fulfill that final wish,” Boone said. Fisher was an organ donor. According to Vanderbilt, Fisher’s organs saved six lives, and dozens more will benefit from his body tissue. “We are not the first community to lose their hospital, and, unfortunately, we won’t be the last,” she said. People shouldn’t suffer “simply because they choose to live in a rural area. They don’t want to live in a big city, and they’re punished for that.